Modi arrived here this morning to attend the 4th Bay of Bengal Initiative for Multi-Sectoral Technical and Economic Cooperation (BIMSTEC) Summit. 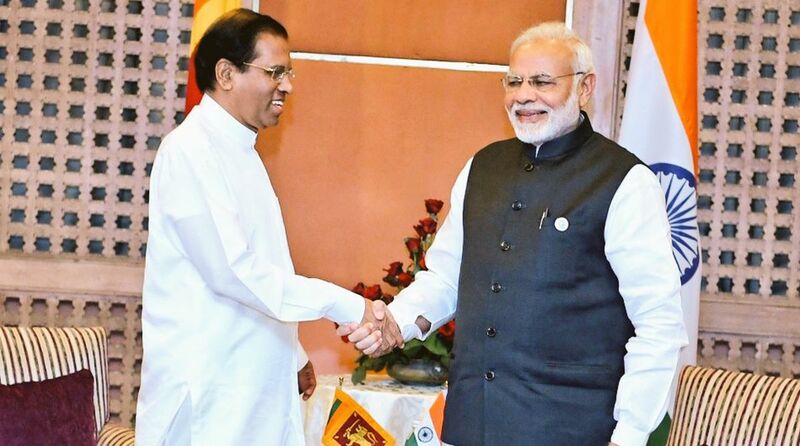 Prime Minister Narendra Modi today held a bilateral meeting with Sri Lankan President Maithripala Sirisena on the sidelines of the BIMSTEC Summit here to discuss ways to boost cooperation. “Cementing cooperation with a valued neighbour and close friend. President @MaithripalaS and PM @narendramodi meet on the sidelines of the BIMSTEC Summit in Kathmandu,” External Affairs Ministry spokesperson Raveesh Kumar tweeted. The BIMSTEC is a regional grouping comprising Bangladesh, India, Myanmar, Sri Lanka, Thailand, Bhutan and Nepal. The grouping accounts for 22 per cent of the global population. Prime Minister Narendra Modi on Wednesday said his participation in the 4th BIMSTEC Summit in Nepal reflected the importance India attached to its neighbourhood and the country’s commitment to deepening its relationship with the extended neighbourhood in South-East Asia. 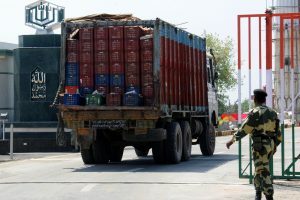 In a statement ahead of his departure for Kathmandu for the two-day summit, he expressed confidence that the summit would further consolidate the progress made thus far under BIMSTEC, and would chart the course for building a peaceful and prosperous Bay of Bengal Region. ‘’During the Summit, I will have interactions with all the leaders of BIMSTEC to further enrich our regional cooperation, enhance our trade ties and advance our collective efforts to build a peaceful and prosperous Bay of Bengal region,’’ he said. Modi said the summit theme, “Towards a Peaceful, Prosperous and Sustainable Bay of Bengal Region” would enable the member countries to shape a collective response to their common aspirations and challenges. On the margins of the summit, he said he would have the opportunity to interact with the leaders of Bangladesh, Bhutan, Myanmar, Sri Lanka and Thailand. He said he also looked forward to meeting Prime Minister of Nepal K.P. Sharma Oli and reviewing the progress the two countries have made in bilateral ties since Modi’s last visit to Nepal in May. He said he and Oli would also inaugurate the Nepal-Bharat ‘Maitri Dharmashala’ at the Pashupatinath temple complex.